It’s that time of year! The weather is getting warmer, snow is melting, and hunters are preparing for spring turkey hunting. Part of this is deciding which gun, choke and shotgun shell you will use. Another part of this involves scouting and locating turkey habitat. Springtime is a when we head out to look for those gobblers for upcoming seasons. While we’re out there, we can seize the opportunity to teach our young ones about wildlife and the outdoors. It’s also the time when bucks and bulls lose their antlers. 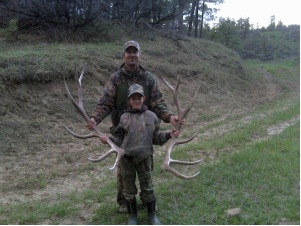 This is a perfect time to drag our families, young and old, along to do another type of hunting: shed hunting! Shed hunting is an activity that gets us away from the TV and outside to enjoy God’s creations. It is quite similar to the Easter egg hunts we had as kids. Regardless of your desire, or lack of, to hunt animals, anyone can enjoy it. I often hear people say they are going “bone hunting” or “horn hunting.” Although some know that antlers are not horns or bones, others may not know this information. Antlers are similar to bones, but they grow and then die and fall off each year. While the antlers are growing, they have a blood flow through them and are covered in a fuzzy coating referred to as "velvet." In this stage, before the antler dies, if it is broken it can bleed. 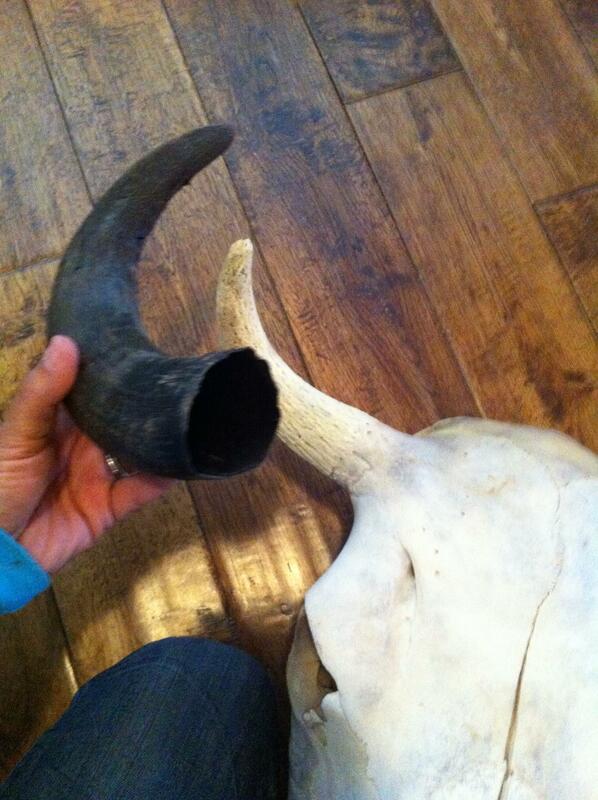 Later, the blood flow decreases and the antler dies and falls off, or is shed. After the antler has died, if you break, it it’s just like an old dried out bone. The hormones cause a restriction of blood flow in the antlers and causes them to die and fall off. They begin to regenerate just a couple months after the male drops them. They are generally a little larger than the previous year until the animal is elderly and on the decline of life’s cycle. The time frame of antler shedding and size varies depending on the area the animals live in and the feed and minerals they have access to. Although some refer to antlers as “horns” they are not like a horn. Horns are permanent on an animal and do not shed. They sometimes have a bone inside a portion of an outer covering that is continually growing. This outer layer is made up of a material similar to fingernails or hair. It continues to grow and does not fall off until the animal dies, at which time the sheath may dry out and slip away from the interior bone. Shed-antlers are found in the same areas we find deer and elk. They are sometimes rubbed off when the animal is going through thick brush or if the antler is hit on a tree. Another locale to check is near creeks, fence-lines or drainages. When the animal jumps, he may jar the antlers loose, causing them to drop. When you are shed hunting, it is a bonus to find a matching set. Sometimes you will have to circle and scour an area for hours and never find the other half. My daughter was the lucky hunter one day. She found these two sheds sitting side by side as though the bull that dropped them had put his head down and laid them there. He was a big guy, and he is still out there. We can’t wait to see him this fall. Something else to keep an eye out for is complete carcasses or skulls that still have antlers intact. Sometimes these are found on lion kills. Others are from accidents, fights during the rut, or even animals that expired in landslides. Antlers can be used as decorations, sold for extra cash, or made into artwork and jewelry. Always check the regulations in the area you are scouting. Some locations do not allow you to retrieve sheds, and others only allow you to retrieve sheds that are not attached to a skullcap. 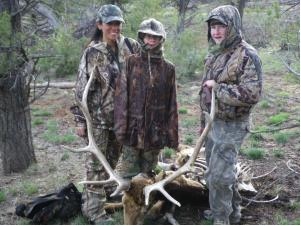 Regardless of what you find, shed hunting is a good time for young and old alike. Mia Anstine is an outfitter, guide, hunter, mentor, firearms and archery instructor. Among other publications, she is a staff writer for Beretta USA, Western Whitetail Magazine and guest at several other publications. As a public speaker she teaches and inspires others to get involved in outdoor activities. She takes pride in guiding ladies and children for their first hunts. She’s hunted red stag, bull tahr, elk, mule deer, black bear, turkey, game birds, waterfowl, predators, varmints, hogs, carp and has more on her bucket list. To learn more about Mia, visit her website at www.MiaAnstine.com.